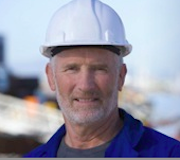 Before we break down these oil rig offshore jobs, you should be aware that all of the work is physically demanding and may require you to be away from your family for extended periods of time. If that sounds okay and you want to earn a nice salary in the process, then take a look at the job opportunities that are usually found in offshore oil rigs, ranging from entry level positions, all the way up to IT jobs. 1. Rig welders - The average oil rig is made of up of tons of metal, with hydraulics and electricity used to make it operate at full capacity. Rig welders are the people responsible for making sure that everything is installed, maintained and repaired properly. This is an oil rig job that is open to semi-skilled workers who are willing to be trained, as well as those that are comfortable being on call at all hours of the night and day. There is plenty of training required before setting foot on an oil rig proper, which may mean that you have to locate to another part of the country to work, with Texas being a likely spot. Once all training has been completed, an oil rig welder can expect to earn in the $40,000 per year range. 2. Installation manager - These positions are a little higher up the semi-skilled ladder than most others on an oil rig. An installation manager enjoys a certain level of freedom, but with that comes more responsibilities. 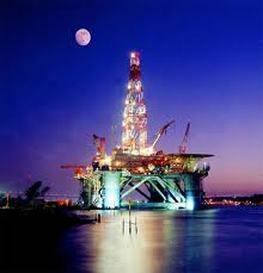 They will spend most of their time on the rig, with their main job being the overseeing of the drilling. Besides that part of the job, the installation manager is also expected to monitor a number of other areas to ensure they are operating at peak performance. The output and efficiency of the rig can mean that the position can pay as much as $80,000 per year. 3. Control room operators - At the top of the food chain when it comes to oil rig jobs is the chief barge engineer. They are the men that have the most freedom to do what needs to get done on the oil rig, with the end goal to make sure that all of the employees have what they need to get the job done. The control room operator acts as the right hand man to the chief barge engineer, performing not only engineering work crucial to the safety and efficient operation of the rig, but also a number of clerical tasks, including processing the job permits of the employees. The float status of the rig may also come under the supervision of the control room operator, meaning they may well be held responsible of part of the rig sinks. The average salary for this position is around $40,000 per year. 4. Instrument technician - The main responsibilities of an instrument technician are to monitor the vital components of the oil rig, such as alarms and gauges of various drilling and extraction equipment. This position pays in the region of $55,000 per year.